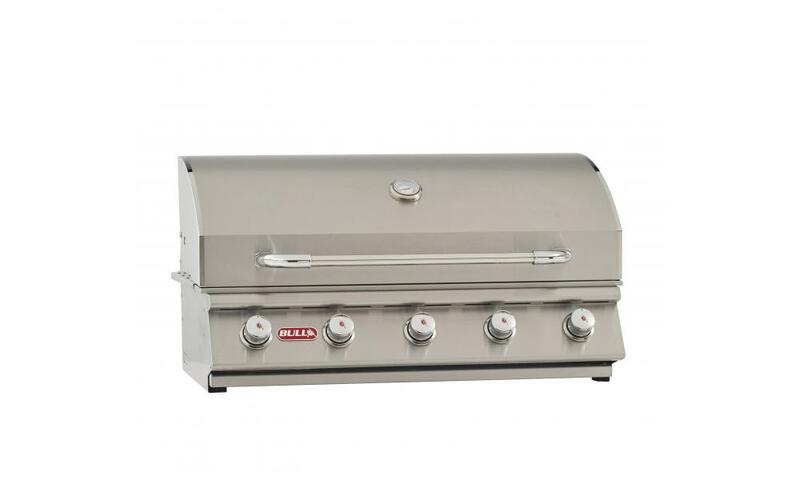 Introducing the newly released gas grill from Bull BBQ. 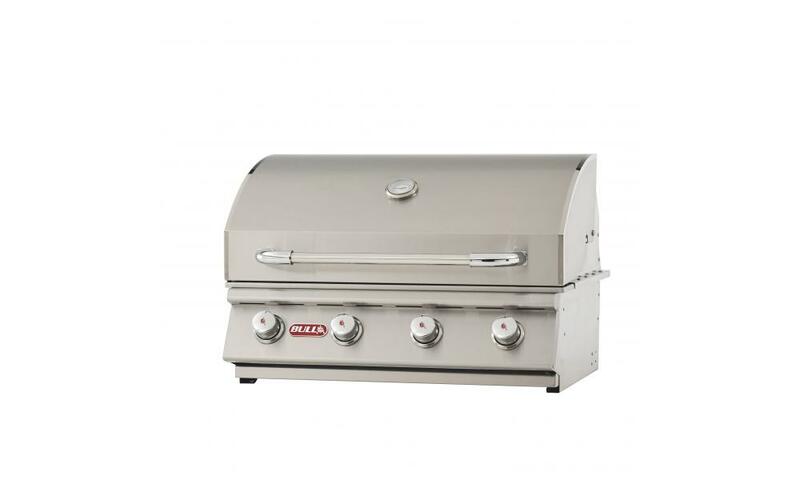 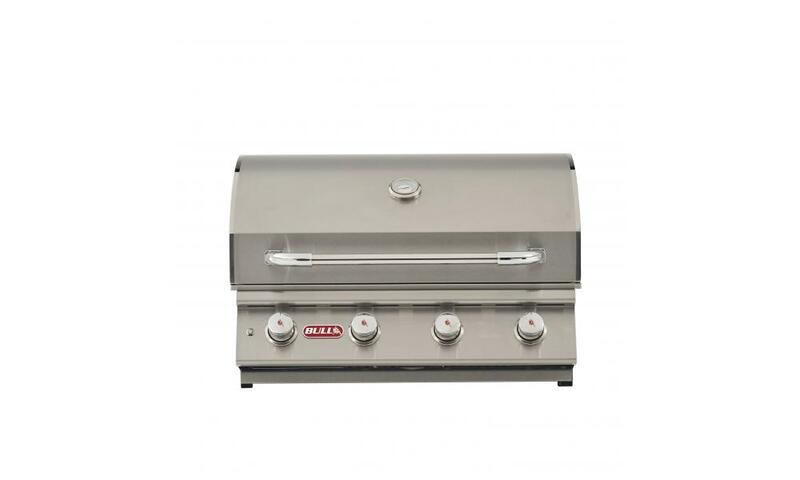 The 32369 built-in natural gas Renegade gas grill from Bull Outdoor Products features five heavy duty cast iron porcelain coated burners with a 5 year warranty and over 1,200 square inches of cooking surface. 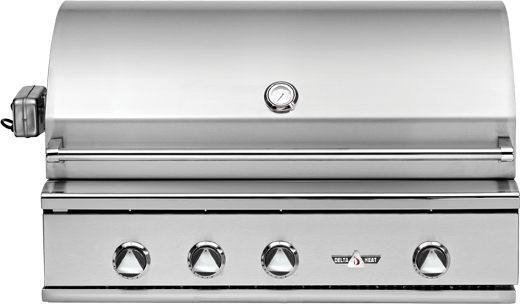 When buying a built-in gas grill there’s nothing that comes close to a Bull BBQ built-in Renegade. 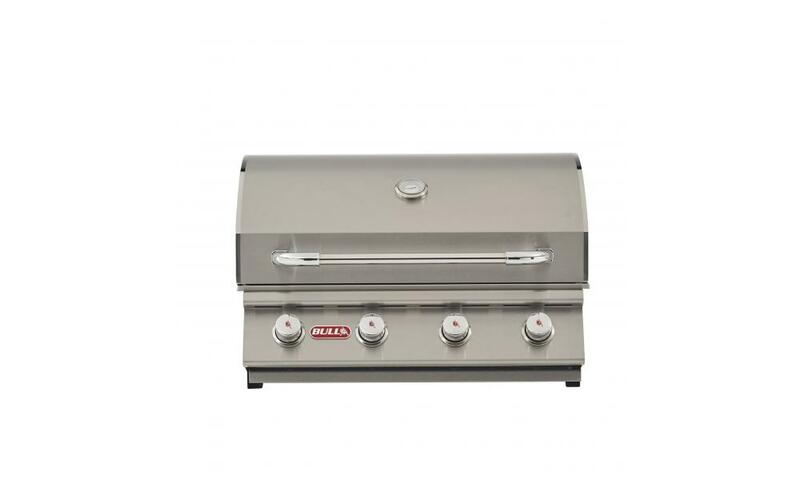 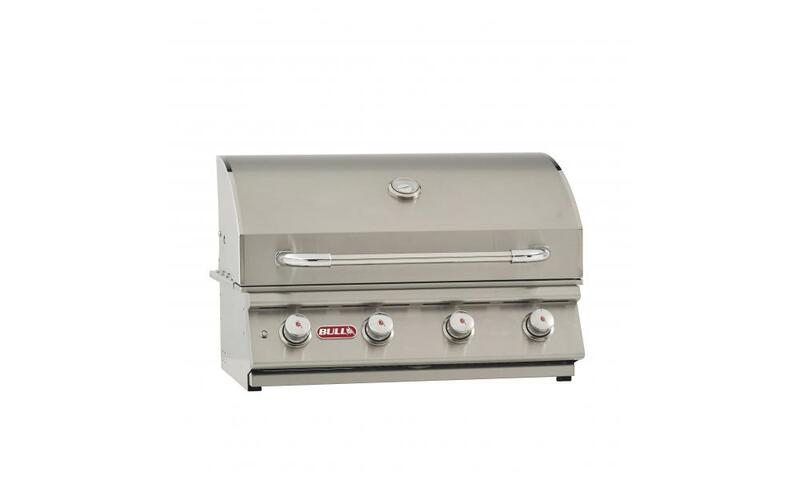 The Bull Renegade grill is a 5-Burner 38-inch stainless steel built-in gas barbecue grill in natural gas that features five cast iron porcelain coated burners, stainless cooking grates, removable warming rack and 1292 square inches of total cooking surface. 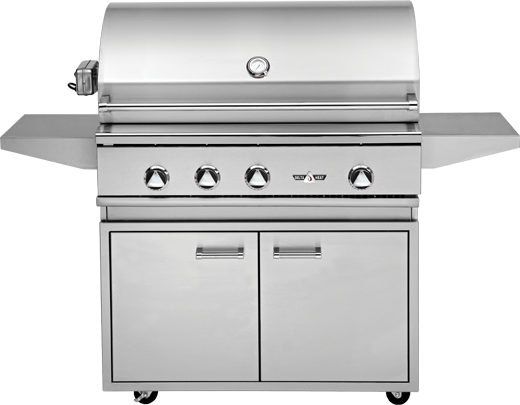 304 Grade 14 gauge stainless steel construction. 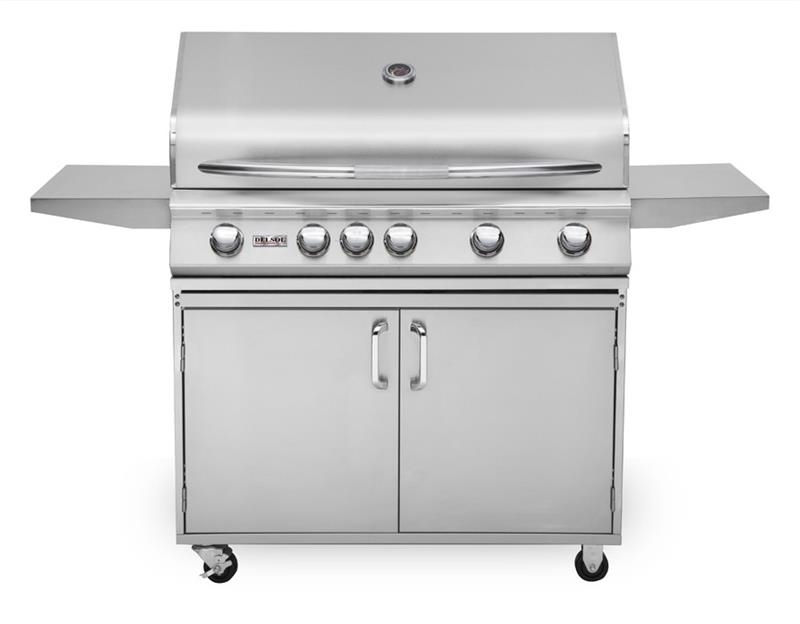 1292 Square inches of total cooking surface (1026 on cooking grates/ 266 on warming rack). 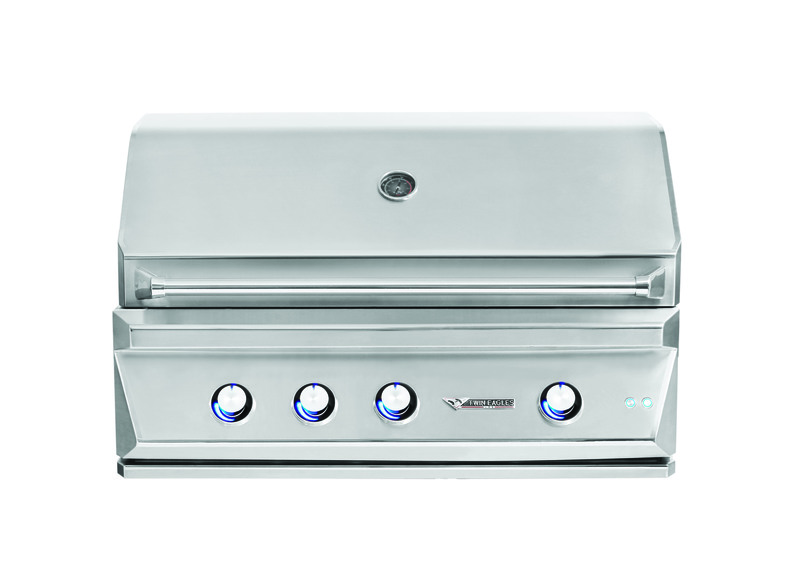 Five cast iron porcelain coated burners that put out 15,000 BTU’s each. 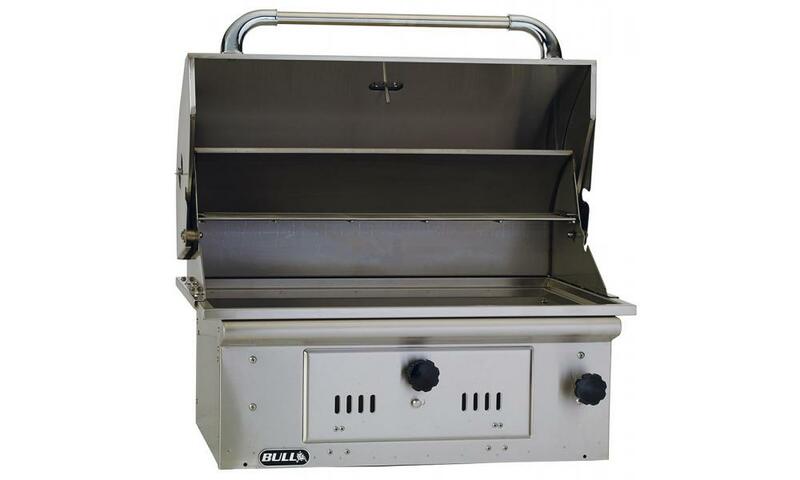 Single piece dual lined hood, allows for cool to touch when the grill is on high and allows for durability when lifting the hood. 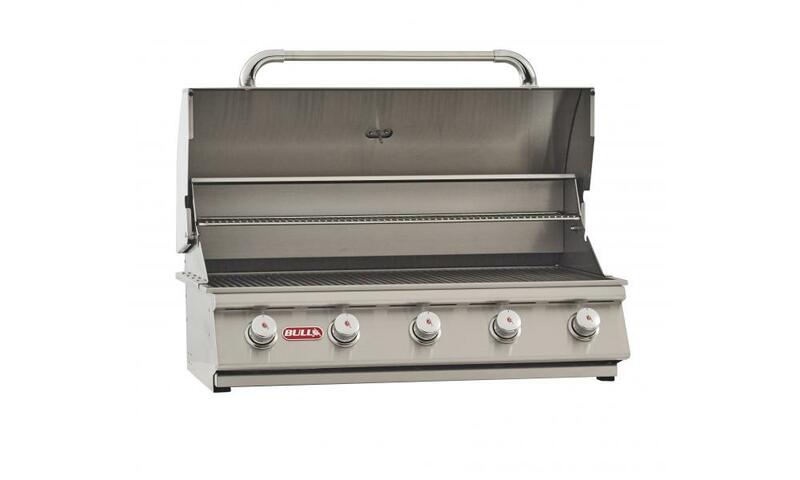 Piezo ignition comes standard on all Bull Outdoor Grills and features a simple turn to ignite type of ignition. 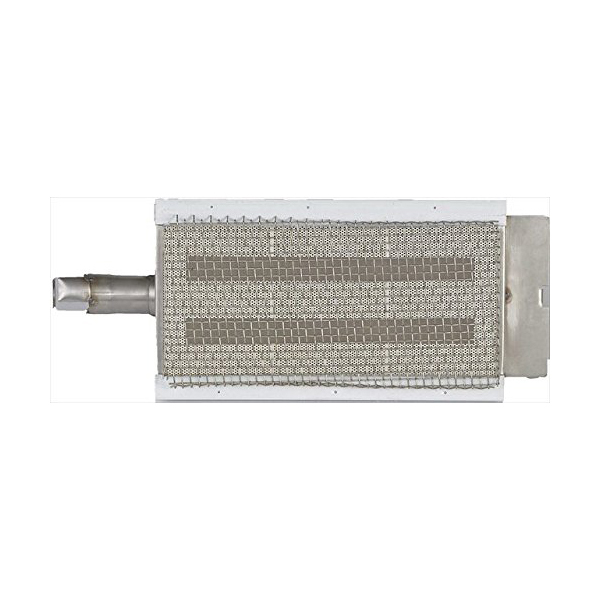 This ignition is the most reliable in the industry. 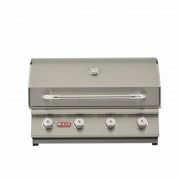 Zinc burner control knobs feature an embossed red bull in the center of the knob and a rigid surrounding for easy gripping and turning. 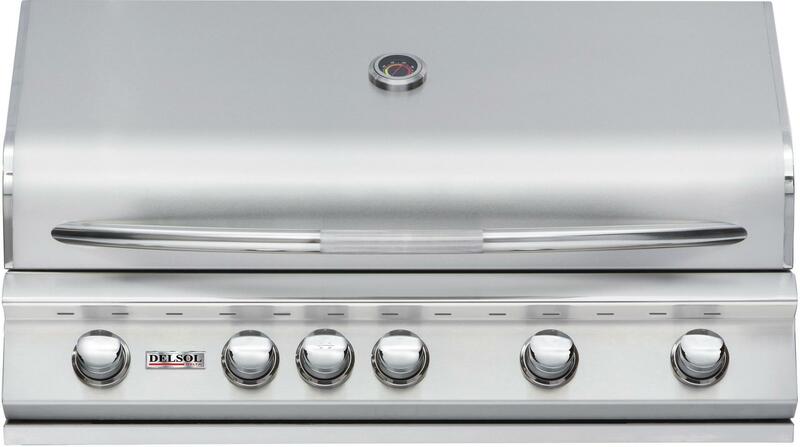 These newly designed grill knobs are known as their 20th anniversary knobs. 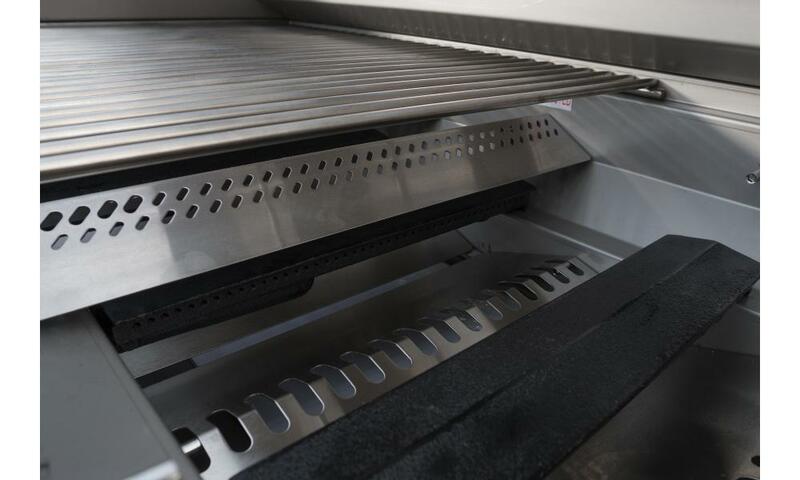 The cooking grates on all Bull BBQ Grills are 304 grade stainless steel. 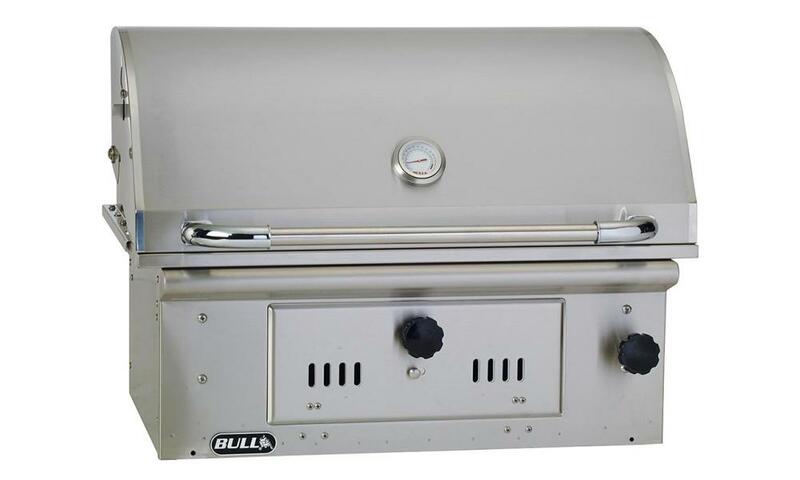 Heavy duty oversized thermometer allows you to view exactly what the hood/oven temperature of your Bull grill is. 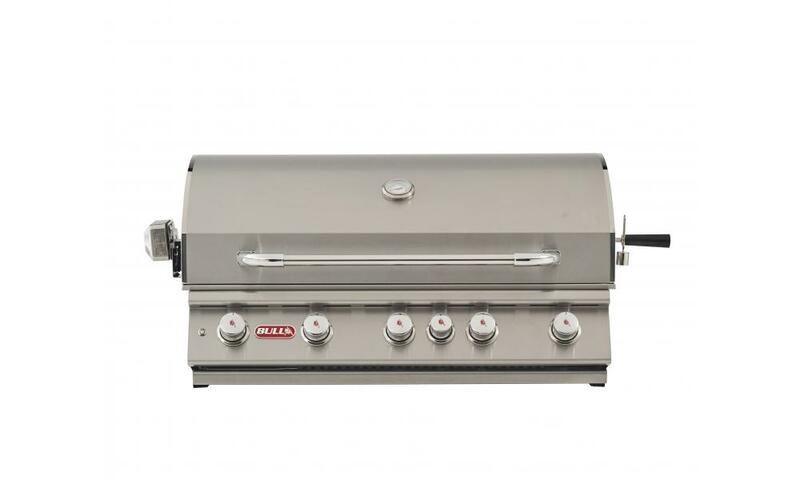 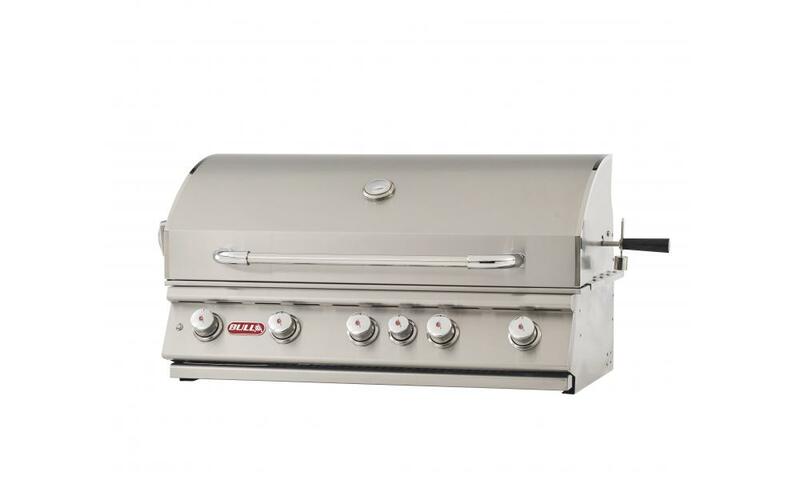 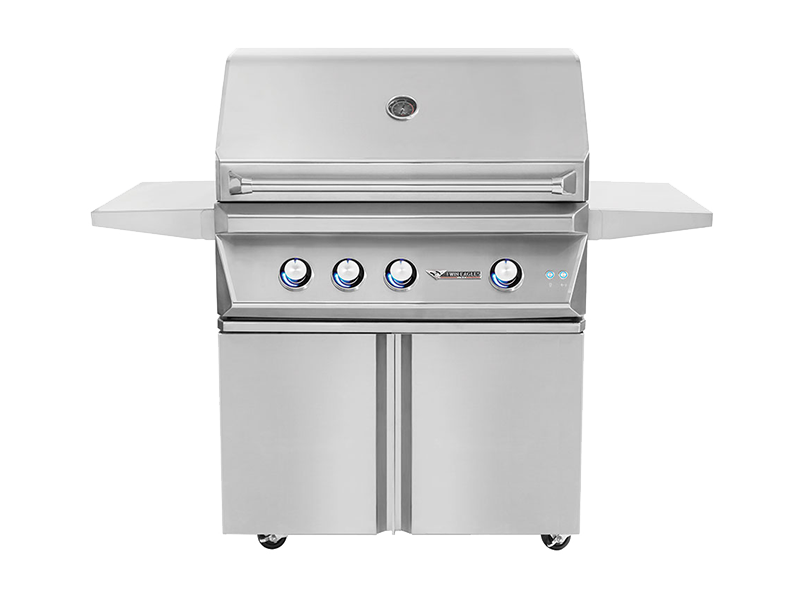 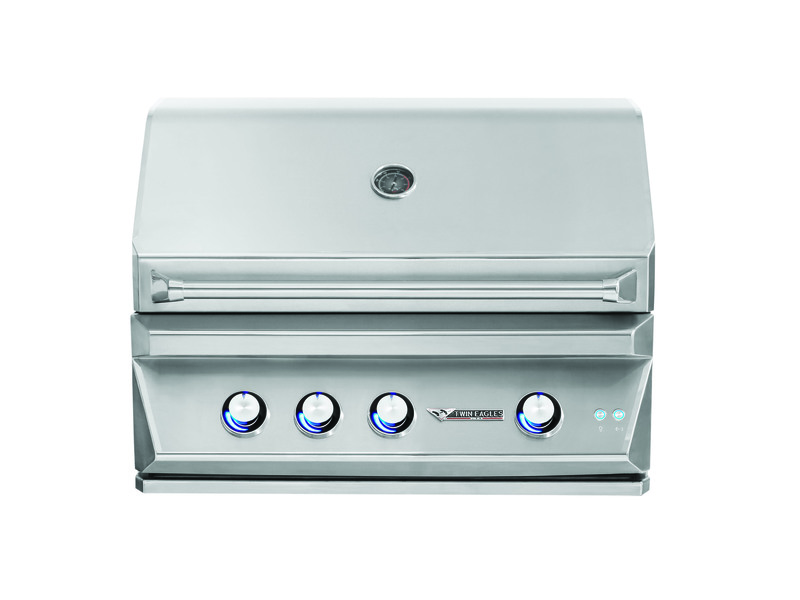 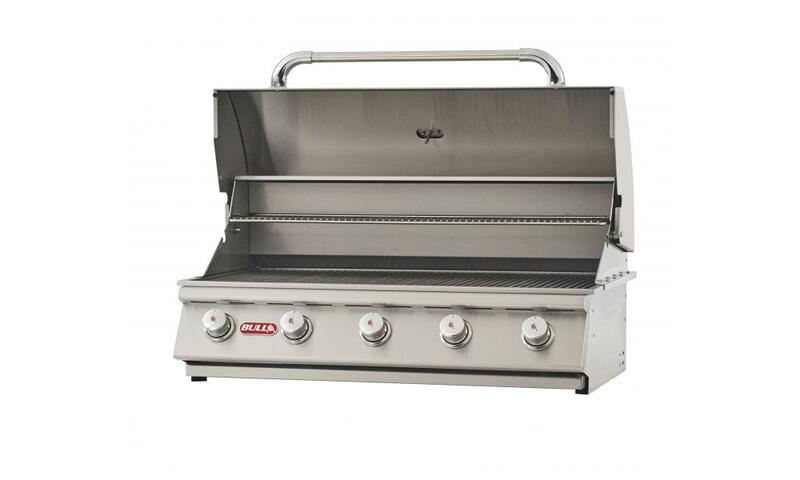 All Bull Grills feature a removable 304 grade stainless steel warming rack. 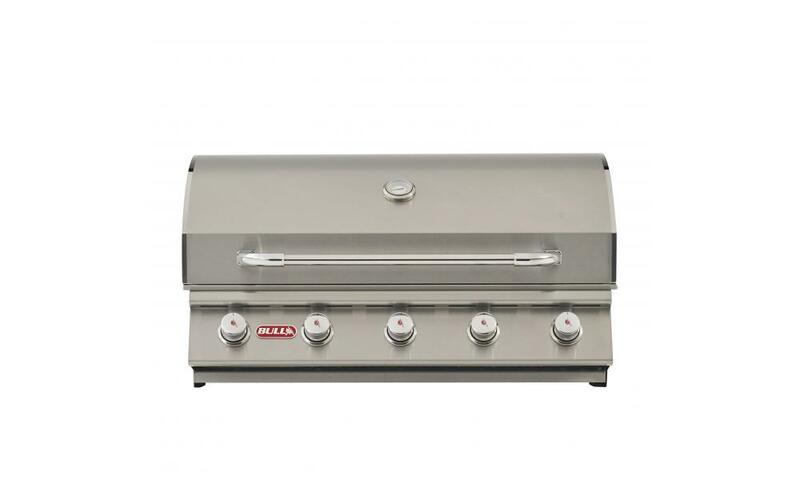 Bull BBQ gas grills are CSA certified. 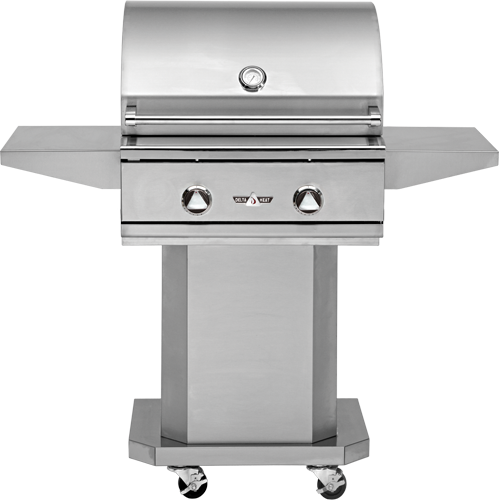 Since 2010 we have provided our specialized service of cleaning and repair to over 15,000 BBQ’s all around San Diego. 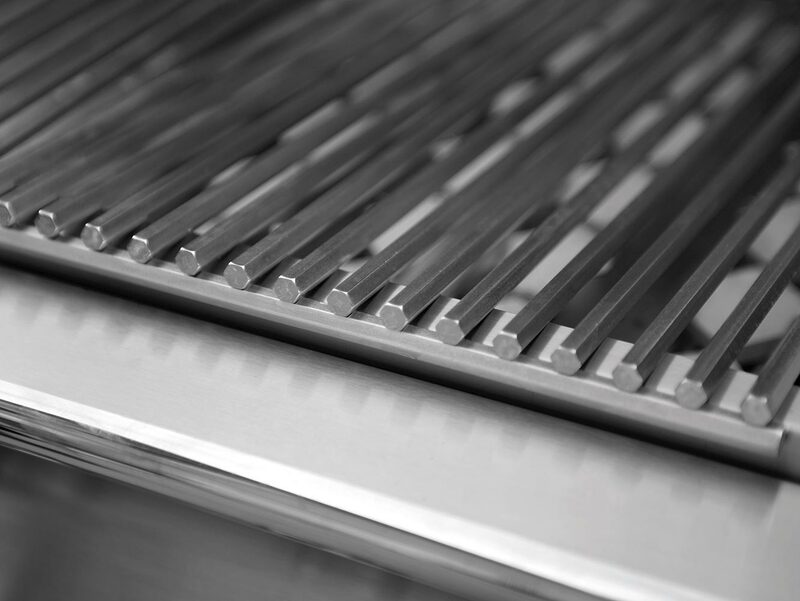 Staying on top of the latest industry trends allows us to continue to hone our skills and provide the highest quality customer service experience possible. 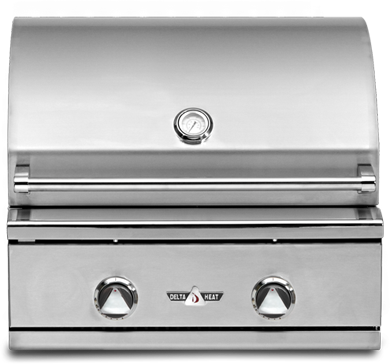 Our selection of new grills is hand-picked based on our own experiences with reliability, functionality, attractiveness, and value in mind. 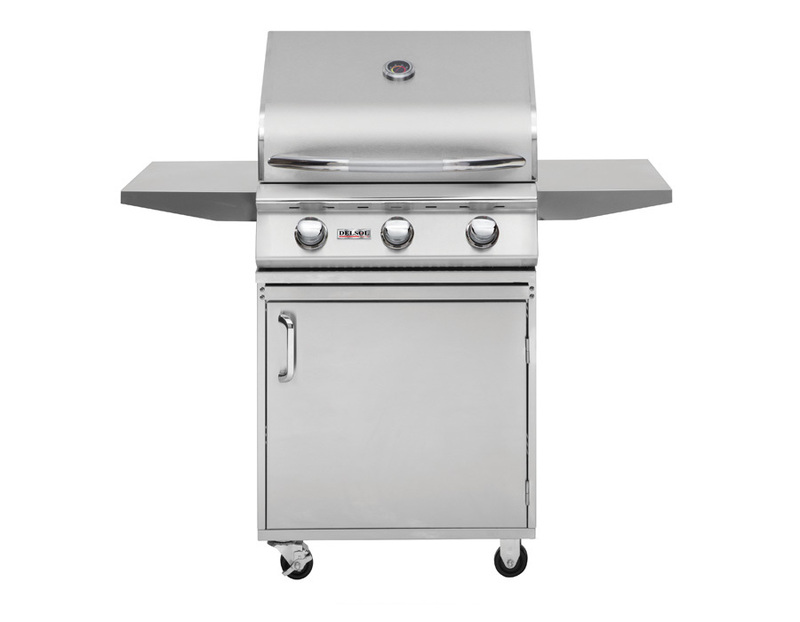 We get rid of the guesswork because, at San Diego BBQ, We Know Grills.